We first mentioned the possibility of a Krypton series in October, when word broke that Man of Steel/Batman Begins screenwriter David S. Goyer was developing a Superman prequel series that would focus on Kal-El’s homeworld. At the time, details were scarce — and actually, they’re still pretty scarce, but now we at least know the network involved. 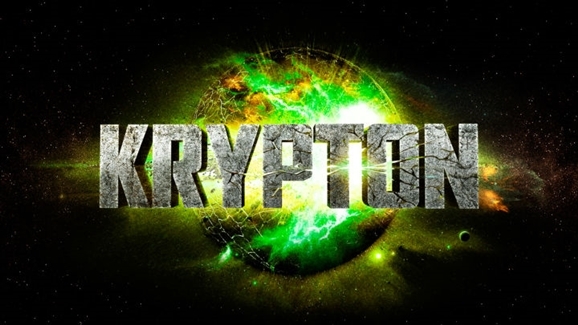 Syfy, amidst its full-court press to regain respectability and become the go-to destination for scripted science fiction TV, is partnering with Goyer, Ian Goldberg (FlashForward), and Warner Horizon Television to develop Krypton. Goldberg is writing the pilot script, based on a story conceived by Goyer and himself. And look, they have a logo! I’m dubious about this one, but what the hell, I’ve been wrong before. The big question is whether Krypton will have any ties to the big-screen DC Cinematic Universe. So far all the shows are being kept in their own respective continuities (with the exception of Arrow and The Flash), but Man of Steel went to the trouble of introducing a new take on Krypton, one which we didn’t get to spend a lot of time in before the action shifted to Earth. 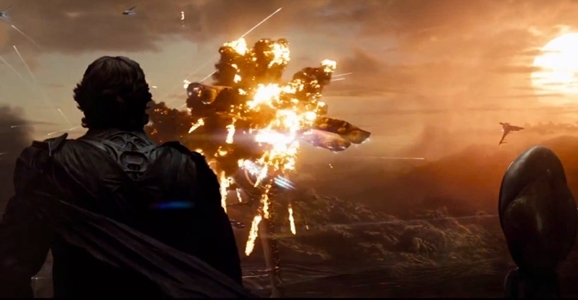 Given Goyer’s involvement in both properties, I wouldn’t be totally surprised if Krypton became the exception to the rule and took place in the Man of Steel version of Superman’s homeworld. This is just another assault in DC’s campaign to put one of their shows on every single damn network in existence. The CW’s got Arrow and Flash, Fox has Gotham, NBC has Constantine, and there are more coming. CBS is working on a Supergirl series and TNT is developing a Titans pilot — both of which are rumored to possibly crossover with Flash/Arrow. As a longtime DC fan, I love to see so many corners of the DC universe being explored, but I’m still going to just leave this video here, apropos of nothing…. So it’s set years before the Birth of Kal El and the Destruction of Kryton… Can I just then ask: WHY is their logo for the series Krypton blowing up? something that is surely a finale to the series??? Guess they aren’t expecting to get a lot of Mileage out of this show!